Jurgen Klopp branded goalkeeper Alisson "not cool" for a moment of audacious skill as Liverpool moved to the top of the Premier League with a 1-0 win over Brighton, although the Anfield manager quickly forgave his Brazilian star. 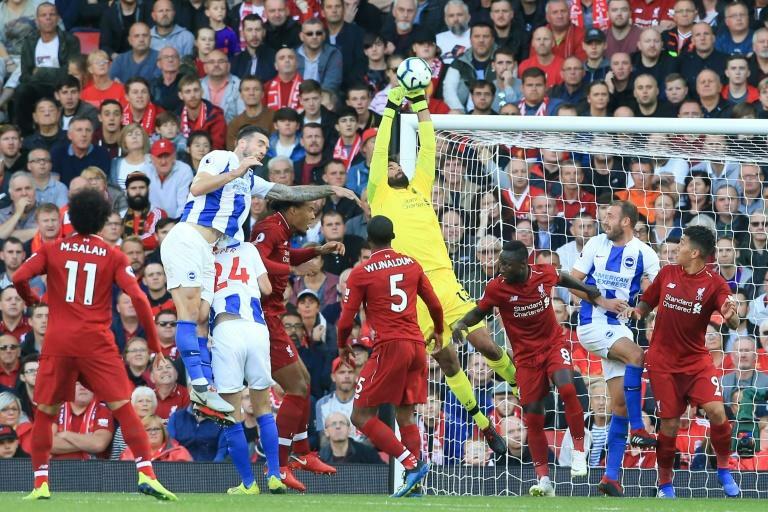 Alisson chipped the ball over the head of Brighton's Anthony Knockaert late in a slightly nervous victory that took Klopp’s side to the summit for the first time since November 2016. It was a bold move and one which, given the disaster that befell his predecessor Loris Karius in the Champions League Final in May, had a few Liverpool supporters gasping anxiously. But the Brazilian, signed for a then world record fee for a goalkeeper of £65 million ($83 million) from Roma this summer, played a perfect pass to Virgil van Dijk, clearing up the danger and drawing huge cheers from the home supporters. 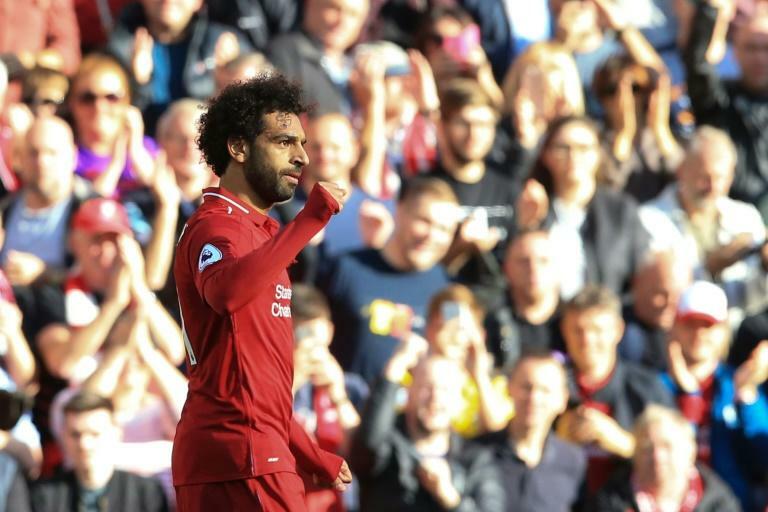 Alisson also made a stunning late save from Pascal Gross that ensured Mohamed Salah's first-half goal was enough to earn a third straight win -- and third consecutive clean sheet -- for Liverpool, with Klopp admitting he was more in favour of that than his skill on the ball. "That’s not too cool for a manager, but it worked so then it’s cool," said Klopp. "I've had a few centre-halves who were able to do things centre-halves should not be able to do -- like Mats Hummels -- and now I have Alisson. He is a goalkeeper but he can obviously play football, which is good." Klopp said the confident Brazilian was not showing off but reacting to the situation. "He will give more and more confidence, and he has a nice level of confidence himself as well," he said. "But I liked the save more than the chip, although the chip was the right thing to do in that situation so that’s fine." Alisson’s eventful afternoon came on the day that Karius's two-season loan move to Turkish side Besiktas was confirmed. "We said goodbye yesterday," said Klopp. "He was really looking forward to it and that's good for him. I really think Lorius is a fantastic goalkeeper and he's a good age for a 'keeper." Inevitably, it was Salah who settled the game with a superb finish from a flowing move involving James Milner, Robert Firmino and Sadio Mane. "Nine points in three games, there are no negatives about that," said Klopp. "We didn’t concede a goal so there is nothing negative about that. "And I knew before the game that we still have a lot of work to do and now more people know that as well. But I have no problem with that." As well as strong showings from Alisson and Van Dijk, Klopp benefited from a superb display from young defender Joe Gomez, who has endured an injury-plagued 12 months that cost him his place in England's World Cup squad. "He was very good today," said Klopp. "It was a big test because obviously Brighton thought 'let's pick Joe Gomez for long balls' and the challenge with (Glenn) Murray but Joe did really well. I don’t think he made one foul and won 70 or 80 per cent of them." Brighton, winners against Manchester United last weekend, could have escaped with a point from Anfield although manager Chris Hughton could still draw positives from defeat. "The overriding feeling is disappointment," said Hughton. "I'm proud of the team, particularly after giving away a very poor goal."